14 X 5***** for your new awesome pots - sweet JOANNA !! Wish you a very happy day with your loved ones !!! Йоанна, ласкаво просимо до гри! Приємної вам гри та удачі! THANK YOU wholeheartedly,sweet JOANNA,for all your lovely comments and support !! YOU and your support are greatly appreciated !! Wish you all the best and a very happy day with your loved ones !! Warm hugs and love !!!!!! 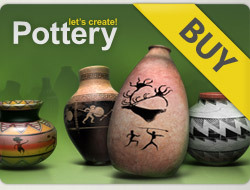 5***** for all your lovely pots !!!! GOOD LUCK DEAR JOANNA !!!!!!!!!!! Beautiful creations Joanna. Five deserved stars for your 20 pots. Welcome to Lcp !!!! !